Kritters Thoughts: This was quite the gothic historical fiction with a hint of magic of sorts and I didn't completely love it. With a golden dress at the heart of the story and a prologue that sets the reader up for guessing, there were moments where I semi enjoyed the book and then moments where it just didn't completely work for me. In the historical storyline there are two narrators, the lady of the house Lady Isabella Gerard and her maid Constance. In the current storyline Fenella Brightwell takes the lead and I think it was her storyline that I liked less. Lady Isabella Gerard is in an abusive relationship and she decides to escape to the country to possibly change her situation for the better. 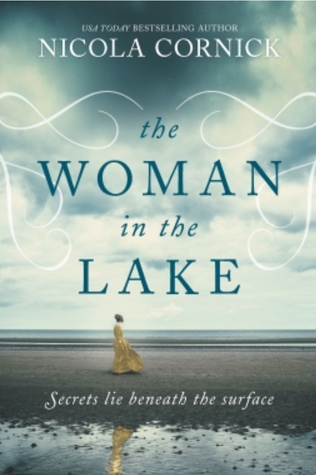 With her maid in tow, she goes to the country and oh the drama ensues. I love a historical storyline where the woman is trying to better her situation and since it is in the past and all of her wealth and prestige is in the man she is marrying it makes it harder to make her life better - for some reason this is all interesting to me. The use of the dress in this storyline was so interesting and I loved how it was more than just a dress, but had a purpose. The thing that I didn't enjoy about the current situation was the magic behind the dress. I felt as though it took on a life of its own and it just wasn't entertaining. I felt as though it took away from the story and I could have liked the current storyline if the dress had just been a dress. If you are a reader of more gothic stories that you could like this one more than I did. I wanted more from it in different places.